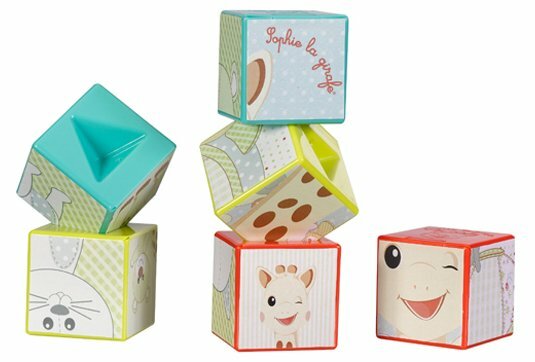 9 fun cubes that grow with your baby! 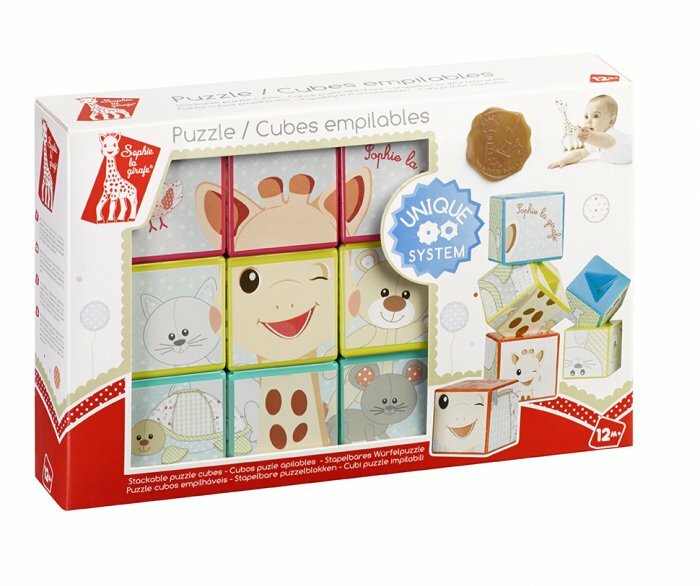 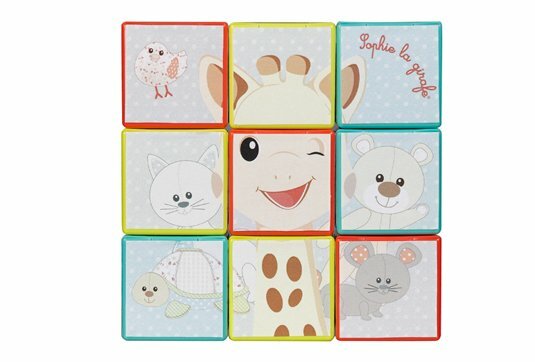 Multiple activities to discover: varied colours to stimulate baby's sight and teach baby the different colours, four Sophie la girafe puzzles to assemble and to make up lots of stories. 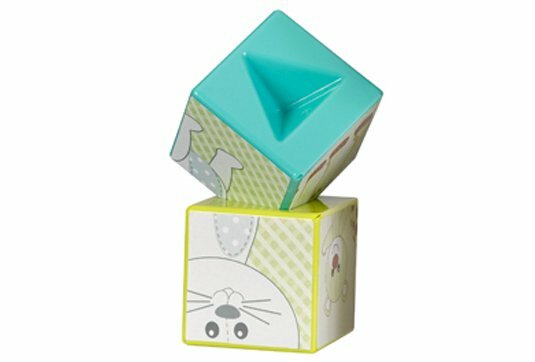 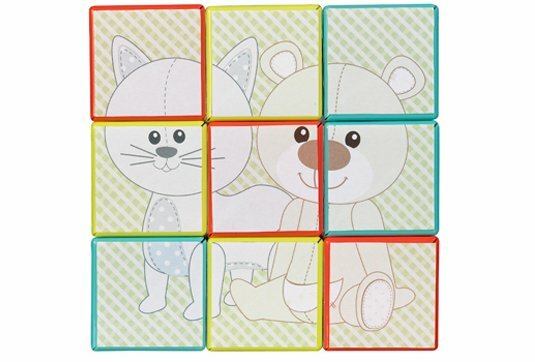 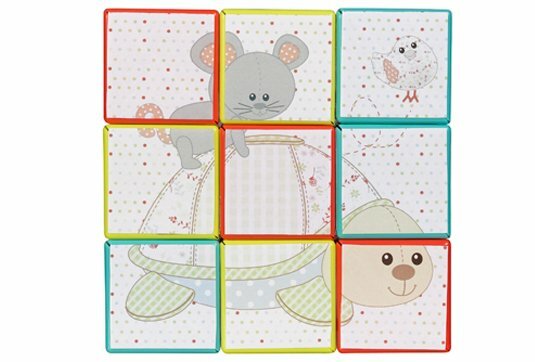 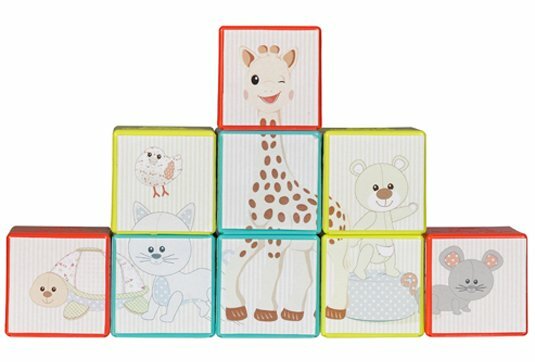 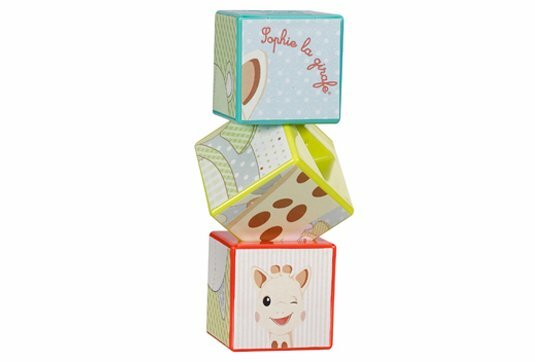 A unique, cleverly-designed toy that develops with your baby: the cubes can be stacked in the usual way to start with, then in a range of different ways as baby grows older.